Bath stone is an oolitic limestone which dates back to the Jurassic period (195 to 135 million years ago) when the region that is known as Bath was covered by a shallow sea. Grains of ooliths or egg stones from the Hellenic word ooion for egg, were coated with lime as they rolled around the sea bed, forming the Bathonian Series of rocks. Interestingly, even today, decayed skeletons of marine life deriving from the marine sediment which was deposited on top of the grains can be seen. Famed for its outstanding architectural beauty thanks to the synergistic partnership of the famed Victorian architect Beau Nash and the quarry owner Ralph Allen. 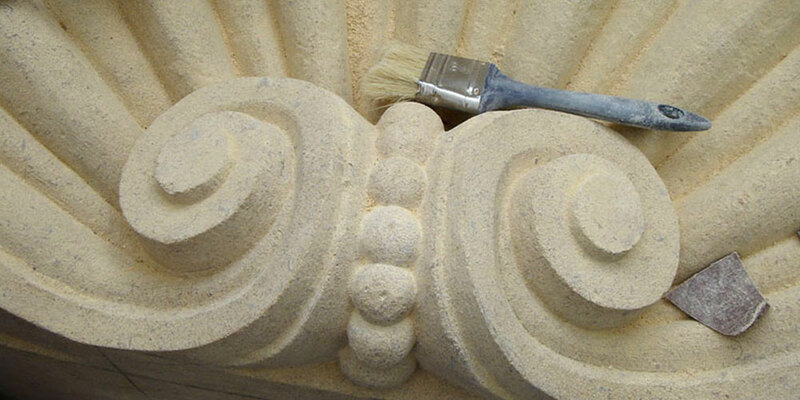 Moonraker Masonry is a leading local business specialising in the art of stonemasonry. Bath stone use expanded rapidly when the famed Victorian engineer Isambard Kingdom Brunel, celebrated as one of the greatest figures of the industrial revolution and hailed as one of the most ingenious and prolific figures in engineering history tunnelled through the Box Hill to create the Box Tunnel situated between Bath and Chippenham for the Great Western Railway. Originally, this was considered an impossible and dangerous engineering project due to its length and the difficult underlying strata. However, it not made travel between the South West and London much more efficient but also put Bath Stone firmly on the international map. He demonstrated its potential by using it for his own mansion at Prior Park. Following a failed bid to supply stone to buildings in London, Allen wanted a building which would show off the properties of Bath Stone as a building material and consequently acquired the quarries at Combe Down and Bathampton Down Mines. Prior to this point, the quarry masons had always hewn stone roughly providing blocks of varying size. John Wood required stone blocks to be cut with crisp, clean edges for his distinctive classical facades. The distinctive honey-coloured Bath Stone was used to build the Georgin city. Stone was extracted by the “room and pillar” method by which chambers were mined, leaving pillars of stone to support the roof. Allen built a railway line from his mine on Combe Down which carried the stone down the hill, known as Ralph Allen Drive, which runs beside Prior Park, to a wharf he constructed at the Bath Locks on the Kennet and Avon Canal to transport stone to London. Some quarries are still in use, but the majority have been either converted to other purposes or are being filled in. 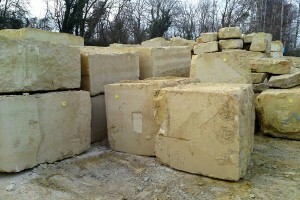 As things stand today, we are supplied by four locally operational quarries, being Hartham Park, Elm Park, Monks Park, We specialize rather unsurprisingly in Bath stone but supply a range of other limestones such as Portland, York and Cotswold stone too.